Home News What makes Sandra the orangutan so special? Clue: She's even more human than you think! How would you get on in the 2017 QI quiz? What makes Sandra the orangutan so special? Clue: She's even more human than you think! How would you get on in the 2017 QI quiz? 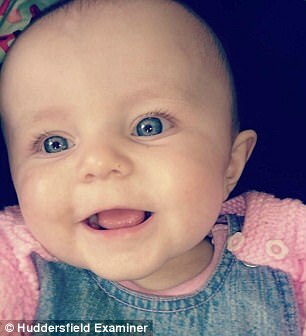 Kia Gott contracted a rare form of meningitisThe one-year-old had to have all of her limbs amputated in a bid to save her lifeParents have released images as they fight for earlier vaccines for the diseaseChildren used to be vaccinated against it at 12 weeks but it changed to 12 months. The parents of a baby girl who had all of her limbs amputated after being struck down by an almost eradicated form of meningitis are campaigning for earlier vaccines. Kia Gott contracted the extremely rare strain of the condition in September in what doctors called the worst case of meningitis they have seen in 25 years. The one-year-old, from Bradford, underwent emergency surgery in a desperate bid to save her life and had all of her limbs amputated. Her parents, Paul, a 35-year-old self-employed window fitter, and Vikki, 30, have been told she may lose her sight and hearing. 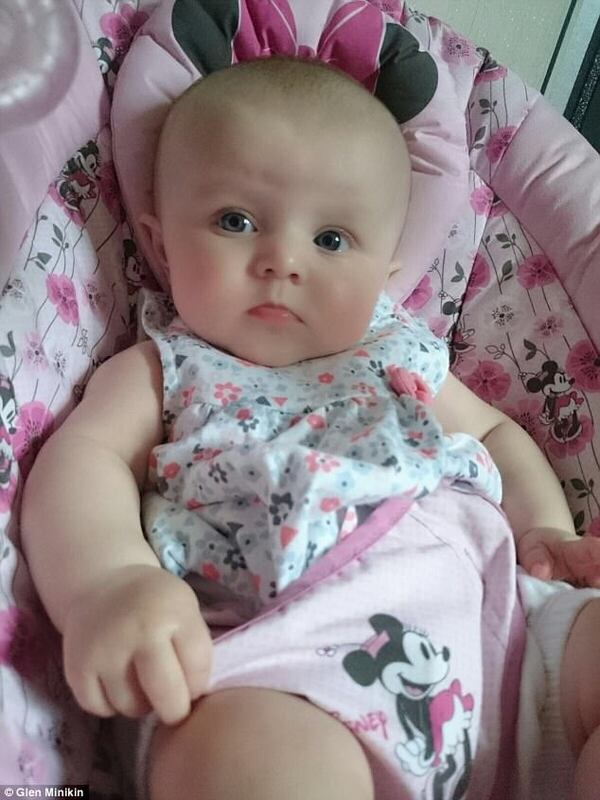 Tragically, if Kia had been born just months earlier, she may not have contracted meningitis at all. In July 2016, the meningitis C vaccine, routinely offered to all babies in the UK at 12 weeks old to protect them from that particular strain of the disease, was withdrawn from the national vaccination programme. Instead, it was decided that the vaccine would be given at 12 months. Now Kia's parents are campaigning for the vaccination age to be reconsidered and have started an online petition aimed at forcing discussion in Parliament. They are calling for the meningitis C vaccine to be reinstated at 12 weeks. Donna said 3,000 people have signed it up but 10,000 signatures are required for the government to respond to the petition while it takes 100,000 names to have the issue debated in parliament. And their fight has been boosted by their local MP who wrote a letter to Health Secretary Jeremy Hunt demanding the issue be reconsidered. According to the Meningitis Research Foundation, one of the reasons the Joint Committee on Vaccines and Immunisation, which advises the Government, decided to withdraw the meningitis C vaccine at 12 weeks was because incident rates had dropped significantly, and it was believed that the new meningitis B jab, a breakthrough vaccine, would also offer some protection against meningitis C, too. Another factor was the introduction in September 2015 of another meningitis vaccine, known as ACWY and given to children at the age of 14, which would help build ‘herd immunity’ that would also protect babies and young children. The number of infants contracting meningitis C remains low, but it has risen since the vaccine at that age was withdrawn. Statistics released by Public Health England show that in 2015-16 (from July 1 to June 30), two children up to the age of five contracted the disease; in the year 2016-17, the figure had risen to six. In babies up to 12 months, the figure rose from one case in 2015-16 to four in 2016-17. Kia's auntie, Donna Gott, 44, said her parents are struggling to come to terms with the full extent of her illness. 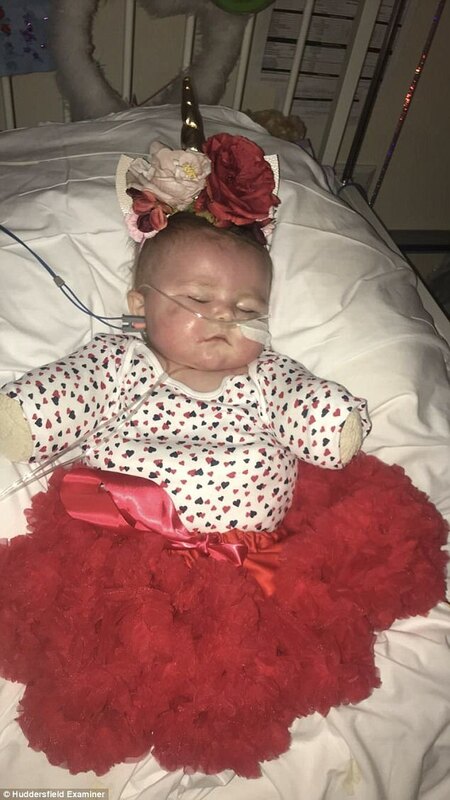 As well as the loss of her limbs, Kia may be left severely brain-damaged after contracting the C strain which was thought to have been almost eradicated in babies aged under 12 months old. Donna said: 'She went into hospital on September 23 and the first amputation was about three weeks after that. 'Initially medics thought she had suffered 90% brain damage and was deaf and blind but we think she may have some hearing and they did a light test on her eyes and it's possible she may have some vision. 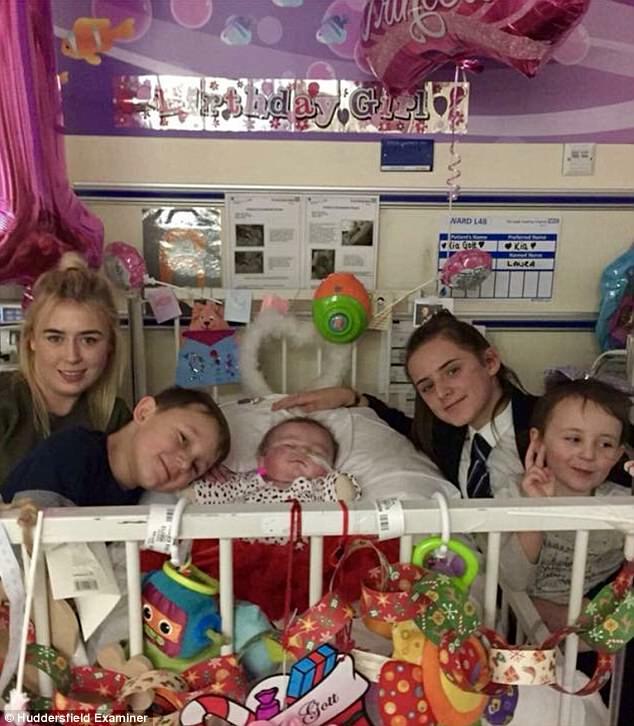 The family, who live in Bradford, have been cheered by the wave of kindness which has swept over them from as far away as Australia and New Zealand with best wishes and £36,000 raised so far. The money will be used to ease financial pressures on the family and allow Mr Gott time to spend at his daughter's bedside at Leeds General Infirmary where she is being kept in a high dependency unit. Donna added: 'Kia is going to be in the high dependency unit for at least three months and is at risk of sepsis (a potentially life-threatening complication of an infection or injury) and sudden death. 'So it's going to be tough getting through these next few days. 'She needs multiple skin grafts, has had some already, faces months of rehabilitation and is on stronger drugs than heroin at the moment. 'I have been to see her and it is very upsetting. She looks like a little teddy bear in her bed. One of Kia's sisters, Shaunna Sharp, 19, a beauty therapy student, helped with the fundraising and managed to collect £1,073.